The Honorable Gail Chang Bohr is being honored at the 2018 Women of Distinction event at the Hilton Minneapolis on May 7, 2018. This is the 10th year this event is being held to recognize outstanding women leaders and to raise support for Girl Scout programming. This year's keynote address will be given by Sylvia Acevedo, CEO of Girl Scouts of the USA. The 2018 Women of Distinction event has a number of sponsors and supporters, including Nilan Johnson Lewis. ST. PAUL, MN – The Commission on Judicial Selection announced today that an additional judgeship vacancy is occurring in Minnesota’s Second Judicial District. This vacancy will occur upon the retirement of the Honorable William H. Leary III. Applicants will be considered within one process for this vacancy and the vacancy created by the retirement of the Honorable Edward S. Wilson, which was announced on Monday, April 2, 2018. Both seats will be chambered at St. Paul in Ramsey County. The Commission is searching for fair, experienced, and civic-minded individuals to serve on the bench and offer their talents and services to Minnesota’s judicial system. The following qualities will be considered for judicial office: integrity, maturity, health (if job related), judicial temperament, legal knowledge, ability, experience, and community service. The application process has been extended and is now open for both seats. An individual wishing to apply may request an application by writing to Lee E. Sheehy, Chair of the Commission on Judicial Selection, at 130 State Capitol, 75 Rev Dr. Martin Luther King Jr. Blvd, St. Paul, MN 55155, or by contacting Megan Jablonski Johnson, Judicial Appointments Coordinator, via e-mail at aMegan.JablonskiJohnson@state.mn.us. A cover letter and resume should also be submitted with the application. Individuals who have already applied for the vacancy created by the retirement of the Honorable Edward S. Wilson will be considered for both seats. Application materials for both vacancies are due by close of business on Thursday, April 26, 2018. Interviews for are scheduled to be held on Monday, May 14, 2018. MNAPABA is now accepting applications for two (2) Summer Law Fellowships. This year, MNAPABA will award Summer Law Fellowships to two (2) individuals ($2,000 each) who will serve underserved communities through a summer internship position with a governmental or non-profit organization. pay $500 or less per week. Preference will be given to those directly serving Minnesota and/or Asian Pacific American communities. Minority judges in Minnesota State and Federal Courts were honored in a reception at the Federal Courthouse on March 8. Pictured below are (left to right) the Honorables Shan Wang, Sophia Vuelo, Gail Chang Bohr, and Tony Leung. Thank you all for your service! Every year Minnesota Lawyer honors the top attorneys throughout the state of Minnesota for their notable achievements. Members Mai Moua and Linus Chan are among this years recipients. They, along with other recipients, were honored at the 18th annual Attorneys of the Year award ceremony on the evening of February 7, 2018 at the Hyatt Regency in downtown Minneapolis. 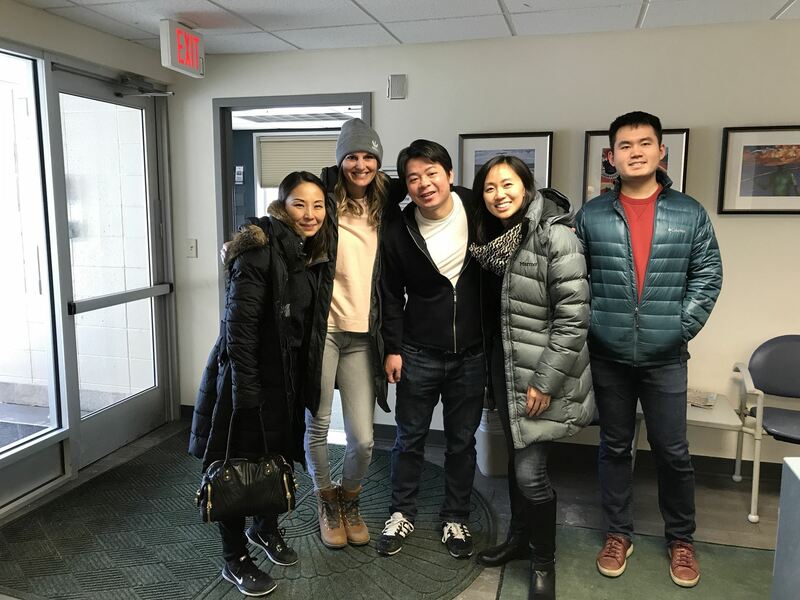 Our members volunteered at the Minneapolis Crisis Nursery on Saturday, January 6. Thank you to all who joined us! 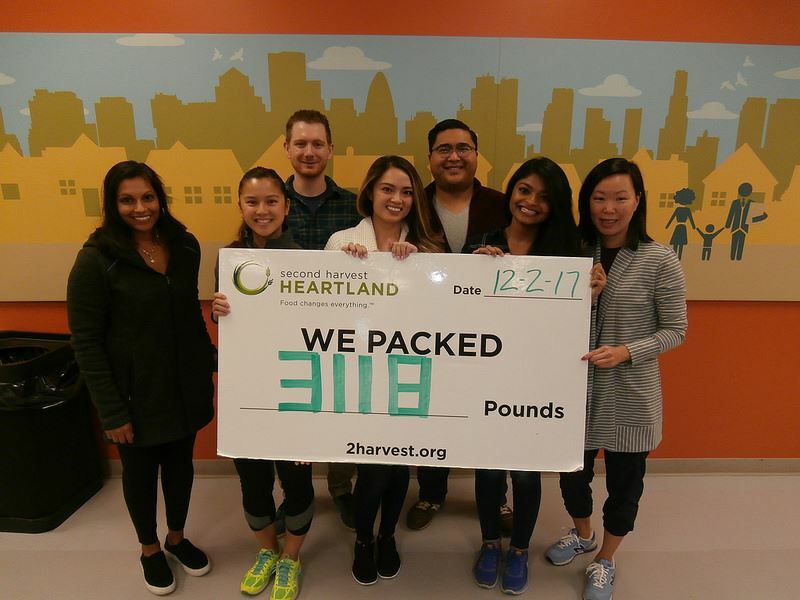 MNAPABA members enjoyed volunteering at Second Harvest and packing rice to serve the local community! Thanks to everyone that volunteered! We are seeking a representative and an alternate representative for the MSBA. Volunteer to attend regular MSBA meetings, and report back to the President-Elect/Board with updates and relevant information. We will recognize you on our website! Contact Alex Dyste, dysteale@gmail.com, President-Elect of MNAPABA with questions. ST. PAUL, MN – Yesterday, Governor Mark Dayton announced the appointment of Sophia Vuelo as a District Court Judge in Minnesota’s Second Judicial District. Ms. Vuelo will replace the Honorable Margaret M. Marrinan, and will be chambered at St. Paul in Ramsey County. Minnesota’s Second Judicial District consists of Ramsey County. Ms. Vuelo is a solo practitioner at Vuelo Law, where she manages a high volume caseload in juvenile protection, family, and criminal matters. Previously, she was a Special Assistant Ramsey County Attorney, Assistant Public Defender in the Second Judicial District, Assistant Rochester City Attorney, and Managing Attorney at Catholic Charities. Ms. Vuelo received her BA from the University of Minnesota and her JD from Hamline University School of Law. She is currently on the Board of Directors of the Collaborative Community Law Initiative, an active volunteer at Weaver Elementary School in Maplewood, and the former Vice-President of the Hmong American Bar Association. 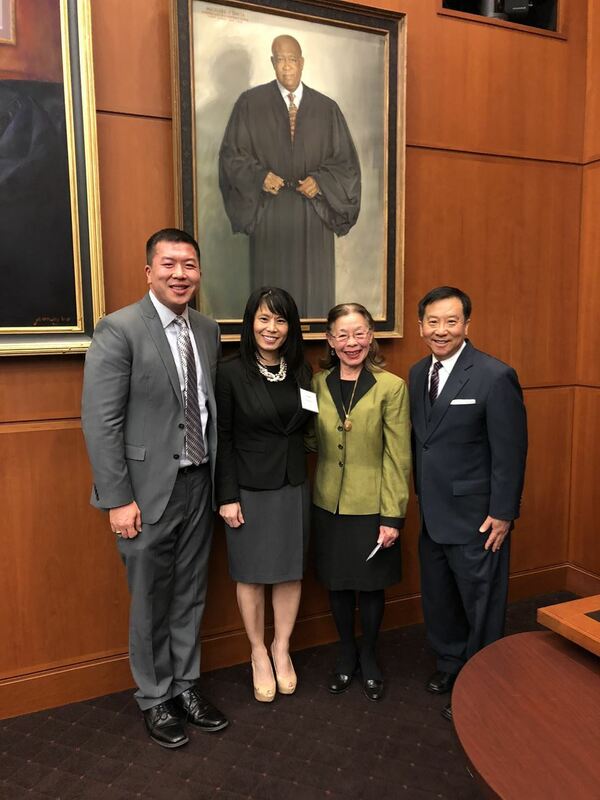 Ms. Vuelo will be the first judge of Hmong descent to serve in Minnesota, and the second to be appointed in the nation. With Mr. Vuelo's appointment by Governor Dayton this week, MNAPABA counts eleven state or federal APA judges active with MNAPABA within the state of Minnesota currently on active or senior status. This number has more than doubled in the past three years. Volunteer to attend monthly meetings in St. Paul, mostly in the mornings, and report back to the President-Elect/Board with updates and relevant information once a month. We will recognize you on our website.